When you land on an online shop and the display is personalised to your taste, showing you products and services that are “right up your street” there is a chance that you stick around on that page. Amazon was one of the first companies to personalise our online shopping experience – and it has worked for them…! Nowadays, you can register with a variety of sites and log-in so that the pages you land on are dedicated to your specific needs and requirements. However, for many websites all they do is something that is rather superficial – you get your name at the top of the page and that’s about it. That is not customisation or personalisation, it is just a technical “trick”. 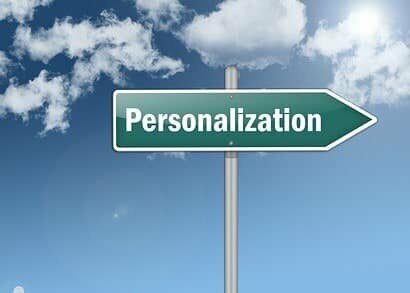 We see through these failed attempts at personalisation because we want real customisation. So what is that? Real customisation is when something that is presented to us is just for us. It reaches our inner desires and is perfect for our specific needs. That goes much deeper than just having our name at the top. For online stores it means we can also customise all kinds of things making the site “just for us”. It means, for example, having a variety of delivery options that mean people can opt for all kinds of speeds and methods of delivery. It means, for instance, having more than one payment system. It means that people can choose the way they want the site displayed, the way they want things ordered or the currency they want displayed. In other words, true online customisation provides visitors with all the tools they need to personalise the site and the offerings it provides so that no-one else would be likely to have the same presentation. When websites are personalised to individuals with deep customisation, they become much more attached to them. That’s because the site is further demonstrating how closely aligned it is to the specific requirements of the individual visitor.